Banyuwangi’s Airport is on course to become Bali’s de facto second airport as it prepares to become an international airport in 2019. Indonesia’s Tourism Minister Arief Yahya visited the Blimbingsari Airport in Banyuwangi on Thursday, February 15, 2018, during which he praised the East Java destination as having fulfilled the three main criteria to become a world tourism destination, namely: world class attractions; a complete range of supporting amenities; and increasing ease of access. As reported by Kompas.com, the Minister of Tourism said that it was likely that Banyuwangi would soon operate direct international flights with Singapore, Malaysia, and Australia. Yahya also said that Banyuwangi’s role as a landing port and parking area for VIP jets during the October 2018 International Monetary Fund and World Bank meeting in Bali will represent a moment of “great momentum” to introduce Banyuwangi tourism to the world. Banyuwangi welcomed 497,000 tourists in 2010, rising dramatically to 4.01 million tourists in 2016. International tourist numbers increased from only 5,205 in 2010 to 91,000 in 2017 - bringing Rp. 546 billion in foreign exchange to the national tourism economy. M. Awaluddin, the CEO of PT Angkasa Pura II, who manage the Banyuwangi Airport, revealed that discussions and feasibility studies are being carried out in cooperation with the Australian airline Jetstar on possible flight service to Banyuwangi. Angkasa Pura says Rp. 400 billion is needed to make Banyuwangi an international airport by widening and lengthening the current runway to accommodate larger jets. 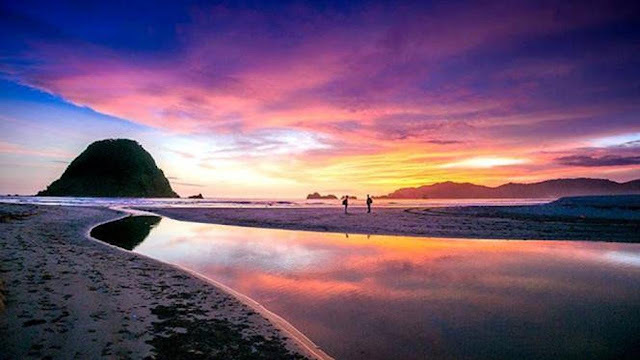 Banyuwangi in East Java is only a short ferry ride from the Balinese Port of Gilimanuk and has the potential of improving accessibility by air to West and North Bali.